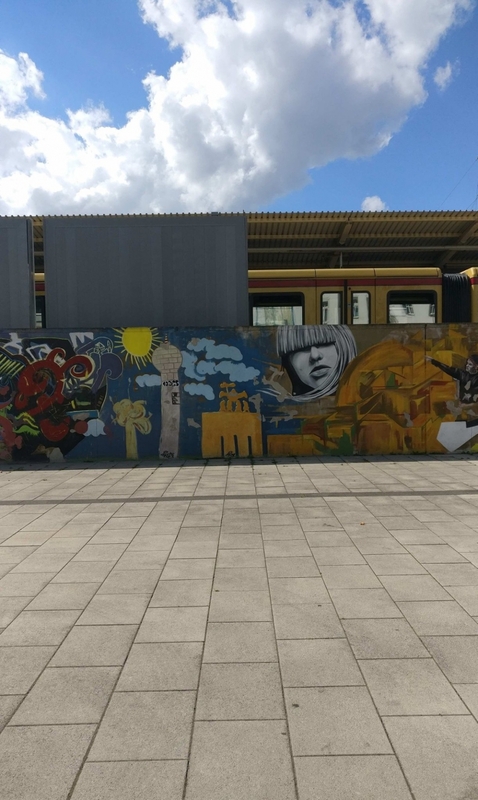 When I look back on my Berlin experience, I am confronted with a degree of complexity that makes me feel, as someone who is trying to write about it, almost powerless. There are way too many things to account for, too many memories to sort through. And all of them stake an equal claim to primacy. Besides, Berlin has always been a tricky subject for writers and journalists. For it straightaway presents the visitor with a set of specific narratives to take home: all those clichés about the post-War Berlin or the post-Wall Berlin, the raffish nightclub Berlin or the alternative street-art Berlin. These are the variants of the city we get to read about in tourist guidebooks, and that we memorialise with fridge magnets. So during my time here, both as a returning tourist and, more recently, as a fellow of the Media Ambassadors India-Germany programme 2017, I consciously tried to look away from the spectacular, the historical and the important, while trying to regard the ordinary with eyes wide open. I sought as best I could Berlin’s typical, everyday reality. This quest for the mundane involved long walks in unknown neighbourhoods, and much idle time whiled away on streets and squares one had never quite heard of. But there’s another species of experience I found more gratifying than my walks, and that made me feel, several times a day though temporarily, somewhat like a true Berliner. I mean my daily excursions on the city’s public transport grid: those minutes and hours spent on the S-Bahn and the U-Bahn. 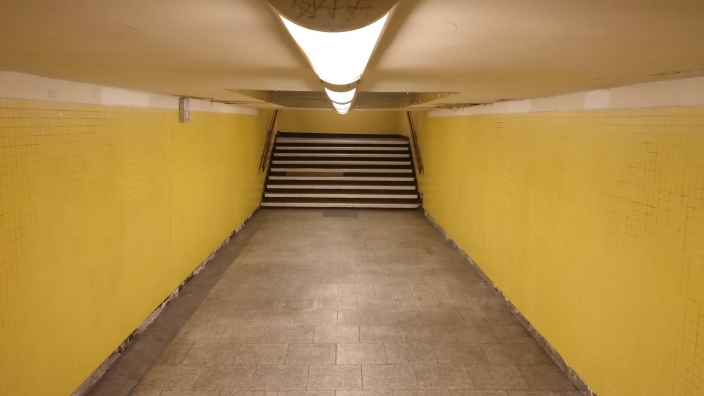 I often think about all those trains coursing through Berlin’s subterranean counterpart, or gliding on elevated tracks above the urban landscape. The faces I most readily recall from my time in Germany are the ones I encountered on these trains; people I never spoke to, nor tried to establish eye contact with, but who nevertheless lodged themselves in my mind. I can recollect the sounds, too: in particular the command “Zuruckbleiben, bitte!”—“Stay back, please!”—periodically announced on all U-Bahn trains before the pneumatic doors were snapped shut. 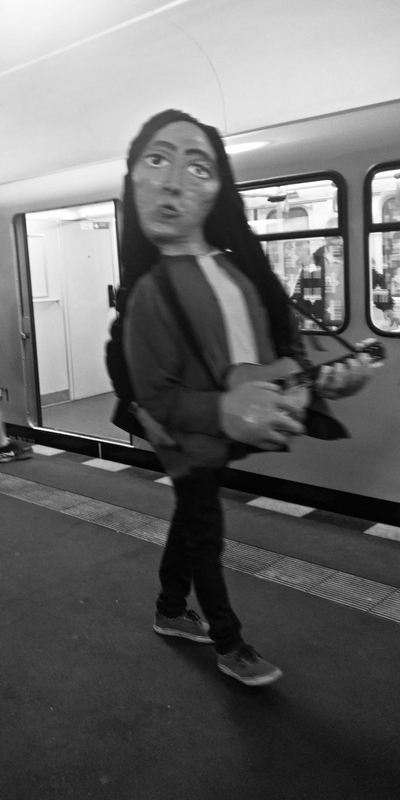 The photos attached here were all taken at or around some train station in Berlin. And they should be collectively seen as a sort tribute to those faces and sounds that I’ll always remember. And of course, as a tribute to those trains. Whenever I wish to relive my Berlin days, I look at these photos, as well as at all the used train tickets I have preserved as souvenirs.